“Practising Falun Dafa helps me be healthy, calm and peaceful. I will never go back to the old me. I like the new me!” said Judy Shakespeare from Tauraega, New Zealand. Ms. Shakespeare, 73, joined her son five years ago to celebrate World Falun Dafa Day in New York City. She experienced the peacefulness and happiness of Falun Dafa cultivators and became a practitioner at the end of the journey. She is one of the thousands of Falun Gong practitioners joining the global celebrations of Falun Dafa in Manhattan. 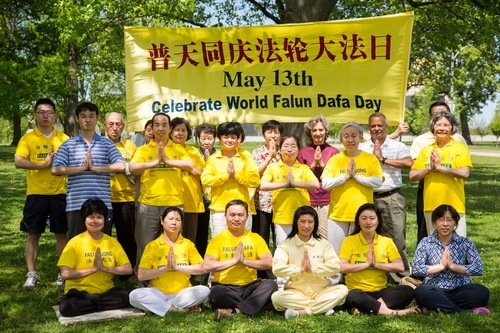 May 13 marks the 15th anniversary of World Falun Dafa Day and the 22nd anniversary of Falun Dafa's introduction to the public. 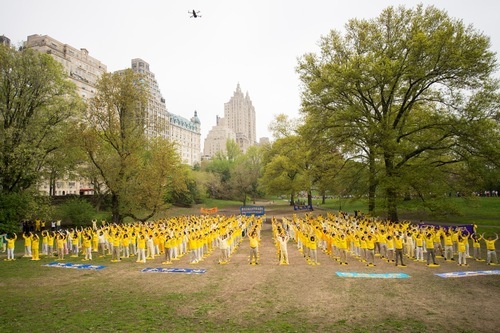 The celebrations started with a morning group exercise in Central Park on May 10. 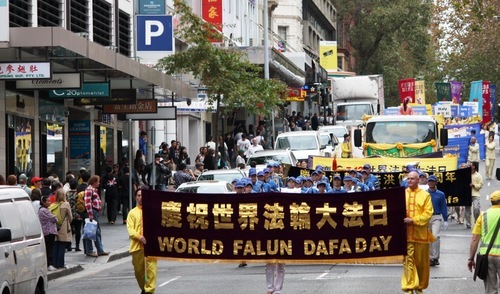 World Falun Dafa Day was celebrated in many cities across the world during the weekend. 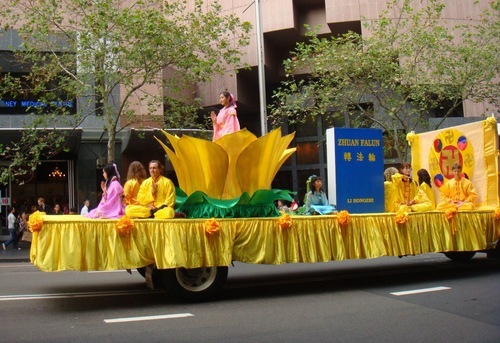 In Australia, Falun Dafa practitioners held a parade in downtown Sydney on May 10. Jason Wyatt, a software engineer who started practising in 2002, demonstrated the five exercises on the float. Mr. He and his wife Ms. Zhang have practised Falun Dafa for 18 years. They immigrated to New Zealand from Henan Province, China and was persecuted for their belief before they left China. Now all six members of the family across three generations practise Falun Dafa. 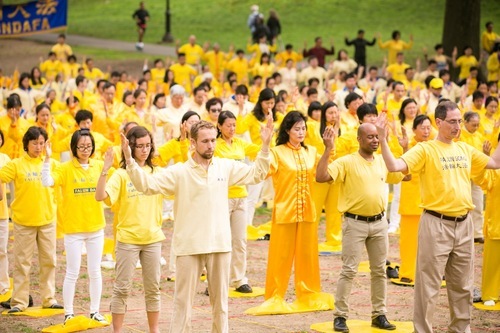 Falun Dafa practitioners have received many proclamations from different levels of government and legislators in North America, honoring the values of Truthfulness-Compassion-Forbearance and its contribution to society . 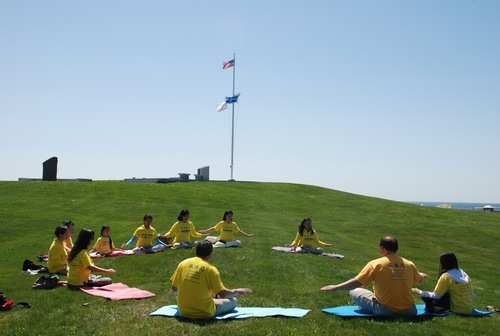 “Falun Dafa practitioners can be very proud of the contributions they continue to make to our society. The guiding principles of truthfulness, compassion, and tolerance, which are the foundation of Falun Dafa, demonstrate your unwavering dedication to a free and fair society.” stated Canadian Member of Parliament (MP) Lawrence Toet in his congratulatory letter for the Falun Dafa 22 nd anniversary celebration. 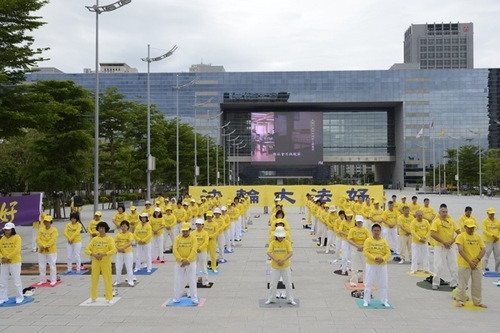 Wilwood, St. Charles, O'Fallon, Bridgeton, and state capital Jefferson City of the state of Missouri issued proclamations to practitioners and declared May 13 as “Falun Dafa Day Honouring Truthfulness-Compassion-Forbearance”. 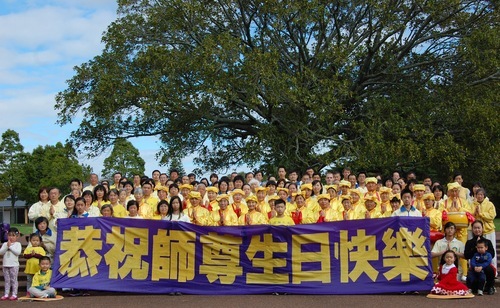 Some local political leaders joined World Falun Dafa Day celebrations to support freedom of belief and recognize the practitioners' contributions to their communities. 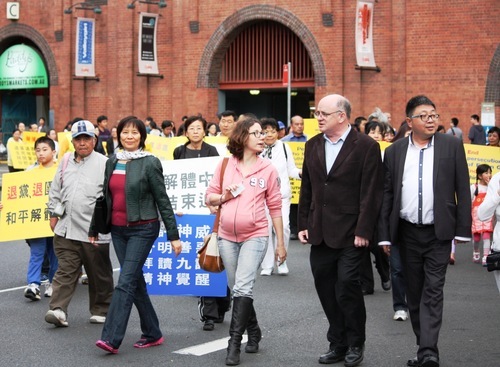 Upon joining the parade in Sydney on May 10, Parramatta city councillors Andrew Wilson said: "I think that torture and persecution of Falun Dafa practitioner is wrong. I am more than happy to March with you. I think practice of organ harvesting what they are doing is so painful for the families. I am more than happy to support you in your position of that. 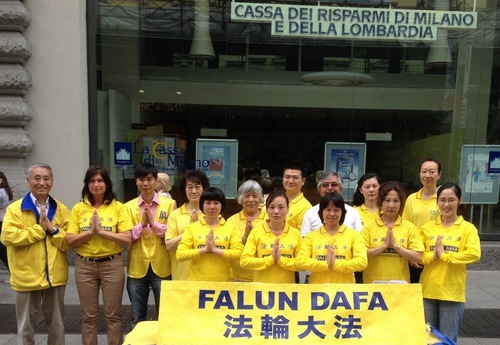 Have a very happy Falun Dafa Day!!!"